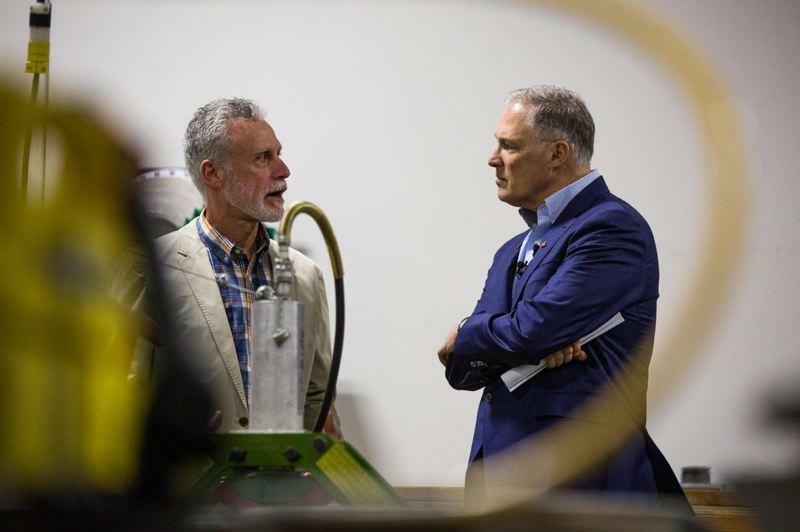 PORTLAND, Ore. – The governor of Washington toured a labor union training center in Oregon as part of his campaign for president. Oregon Public Broadcasting reports Gov. Jay Inslee on Saturday toured the International Brotherhood of Electrical Workers Local 48’s training center in Portland. Inslee has made climate change the central issue of his campaign. In a statement, he said the IBEW is a leader in training electricians in clean energy trades. Inslee said the nation is going to build a new clean energy economy and IBEW members will be at the cutting edge with 40- to 50-year careers. Inslee said he’s learning as he tours that the nation very much understands the climate change threat. He said the country is ready for leadership and needs a vision that involves job creation. Published: March 24, 2019, 12:44 p.m.